The International McCormick Farmall H Tractor had high ground clarence which made it suitable for row-crop work. The engine was the same 37 h.p. 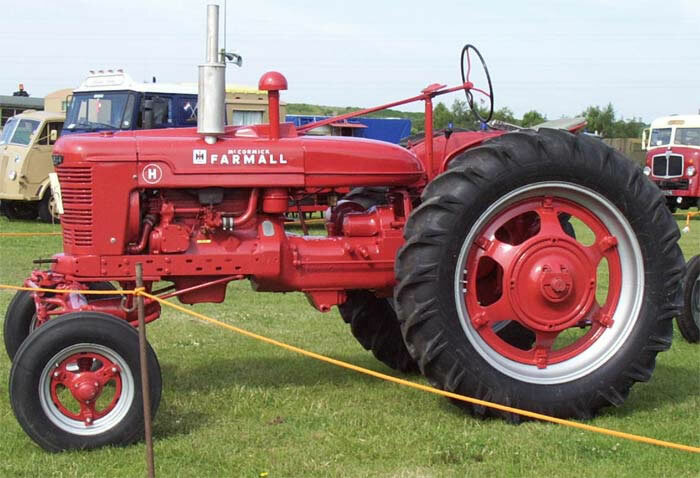 unit as fitted to the Model M. A useful feature of the Farmall Model H was the quickly adjustable rear wheel track.